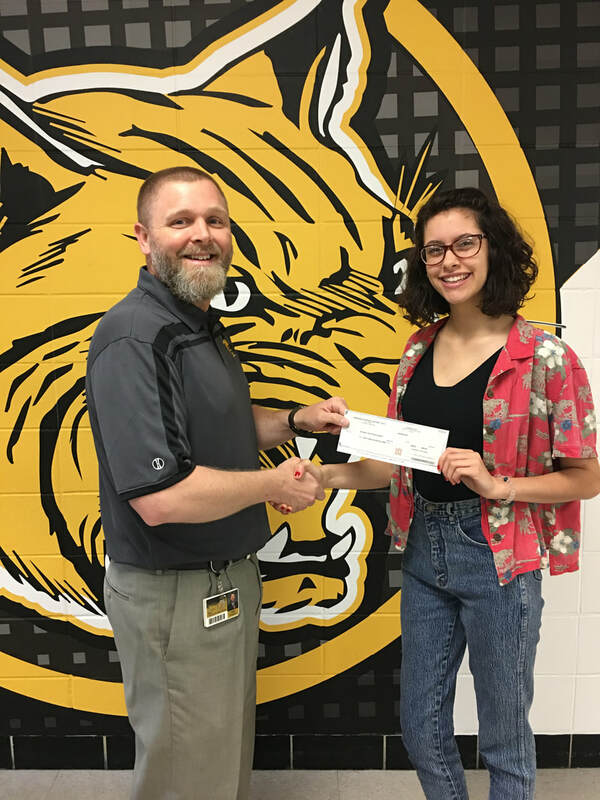 Marisa Padilla, a 2019 Cassville High School senior, has been selected to be a part of the Rotary Club International Youth Exchange Program. Padilla will travel to the Republic of Columbia in South America in 2019 and will spend one year studying abroad. The Youth Exchange Program is for students 15 to 19 years old that are selected and sponsored by their local Rotary Club. In the photo, Padilla accepts a check from Rotary Interact Club Sponsor and assistant high school principal Keith Robertson. Padilla is the daughter of Telisha Padilla, of Cassville.